It’s not often police or law enforcement run across a female serial killer. So when they do, you can imagine their interest in discovering the story behind the crimes. 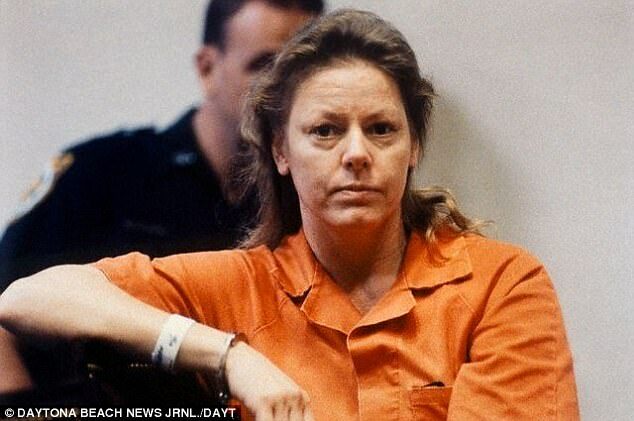 The story of female serial killer Aileen Wuornos is no different. You see, Aileen Wuornos took the lives of her victims all for revenge. That’s right! As you might imagine, she was sexually abused as a child. Wuornos was recently sentenced to death after her conviction for the murder of six men. Six men she picked up as hitchhikers on the highways in Florida back in 1989 and 1990. She shot each of the men, multiple times before disposing or dumping their bodies. Police also believe besides the six men Aileen Wuornos shot and killed, there may have been two other victims as well. Wuornos was dubbed the ‘Damsel of Death’. She claimed she had originally acted in self-defense, but later admitted she killed them because she hated men. She also wanted to steal their money. Now, criminal experts after re-examining audio recordings for Wuornos have new insight into her motives. They believe Wuornos was ‘projecting’ on her victims her ‘anger’ she had harbored since she was abused as a young girl by her grandfather. How sick is that?! You see Wuornos was born to an unstable mother and a child molester father who spent much of his life in prison. Then she was sent to live with her grandparents, where she was sexually abused and pimped out by her grandfather. Again, how sick! ‘They were the men, the [men in their] 50’s and 60’s, they were the age group who abused her earlier in her life. Whether they actually abused her or not is debatable, but we’re looking at her perception. Wuornos became one of America’s first known female serial killers. She was convicted of the murders of six men – Richard Mallory, David Spears, Charles Carskaddon, Peter Siems, Troy Burress, Charles Humprheys and Walter Jeno Antonio – across Florida between December 1989 and November 1990. She was put to death by lethal injection in October 2002 after volunteering for execution and waiving all appeals. Her story was told in 2003 film Monster, for which Charlize Theron won the Academy Award for her portrayal of Wuornos. Wuornos worked as a prostitute to support herself and girlfriend Tyria Moore. In the documentary, it explains how Wuornos was abused by her father from early childhood. In fact, Wuornos and her siblings were abandoned by their mother when she was just four-years-old. That’s when she was sent to live with their grandparents. Shortly thereafter, her father took his own life in prison. Unfortunately for Wuornos, her grandfather was also sexually abusive. So sick in fact, he even ‘rented’ her out to his friends. What kind of a grandfather does that?! What a mentally disturbed grandfather…that nut didn’t fall far from the tree. Sadly, all the abuse by her father and grandfather, led Wuornos at the age of just 10 or 11 to prostitute herself to local boys for money so she could buy cigarettes. That led to more unfortune as Wuronos became pregnant, for which she then gave up her child. Speaking on the documentary, criminologist Wensley Clarkson claims these horrific early experienced led to Wuornos having a ‘warped’ sense of morality. Clarkson explains in the show: ‘It’s horrific stuff and very disturbing for a child, and without doubt it warped her mentality. After her grandfather kicked her out of home as a teenager Wuornos moved to Florida, where she met Tyria Moore, and went on to kill. What a sick and tormented life. All because of her father and grandfather. Two adults most young children in a normal family would love and respect, but in Wuornos case….it was a whole different story. Sick and perverted. Now let me ask you….Do you blame her entirely?